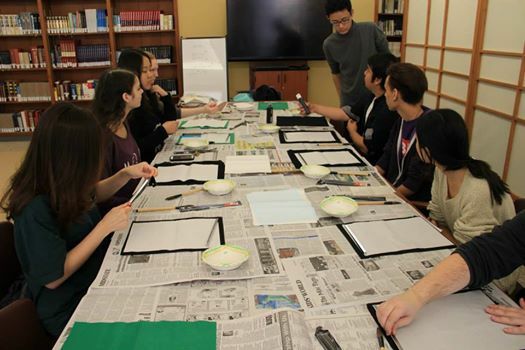 A Japanese exchange student from Akita International University (AIU) held a special lecture to demonstrate and teach shodo (Japanese Calligraphy). Having done shodo for 10 years, he engaged the students with his shodo experiences and doing shodo as a child. 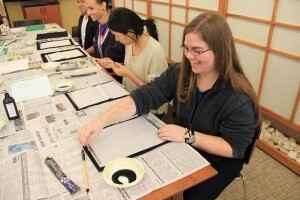 After the AIU student’s demonstration, Dickinson students had the opportunity to try shodo themselves. 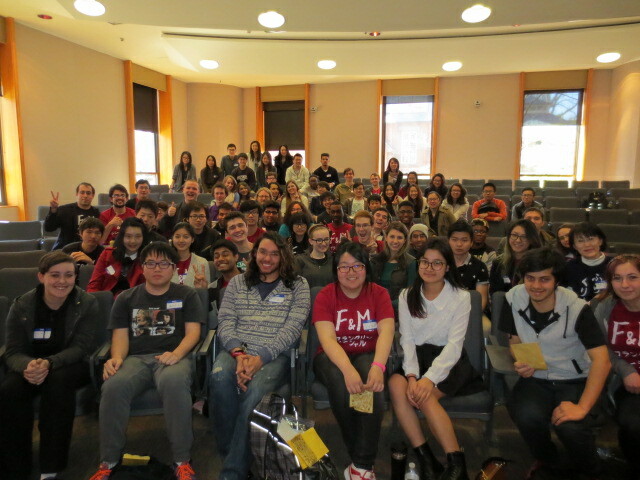 Since this was a first-time experience for many students, they were so excited and had a wonderful time. This entry was posted in Shodo Japanese Calligraphy on December 10, 2014 by yook. 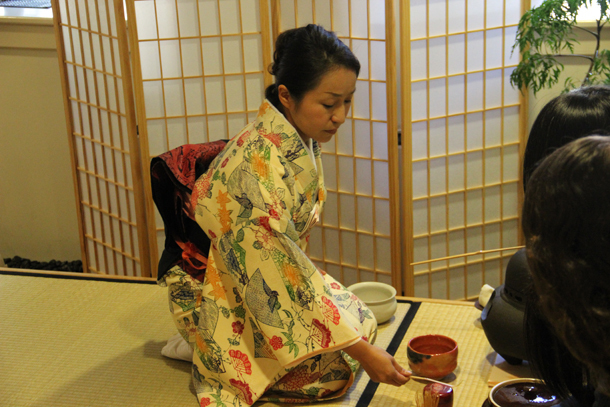 The East Asian Studies department hosted an event to introduce sado (Japanese tea ceremony) to students interested in Japanese culture. In the event, Dickinson students could observe a sado demonstration performed by a Japanese member of the Carlisle community. 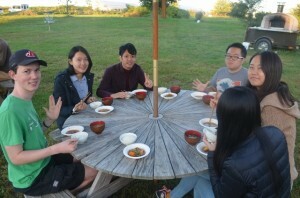 This entry was posted in Cultural Activities on December 10, 2014 by yook. 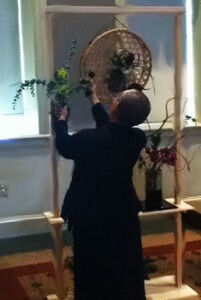 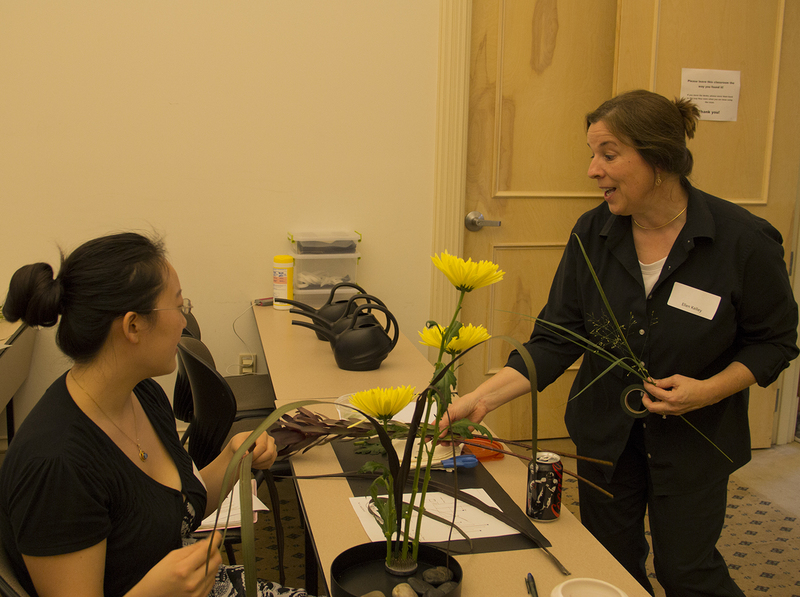 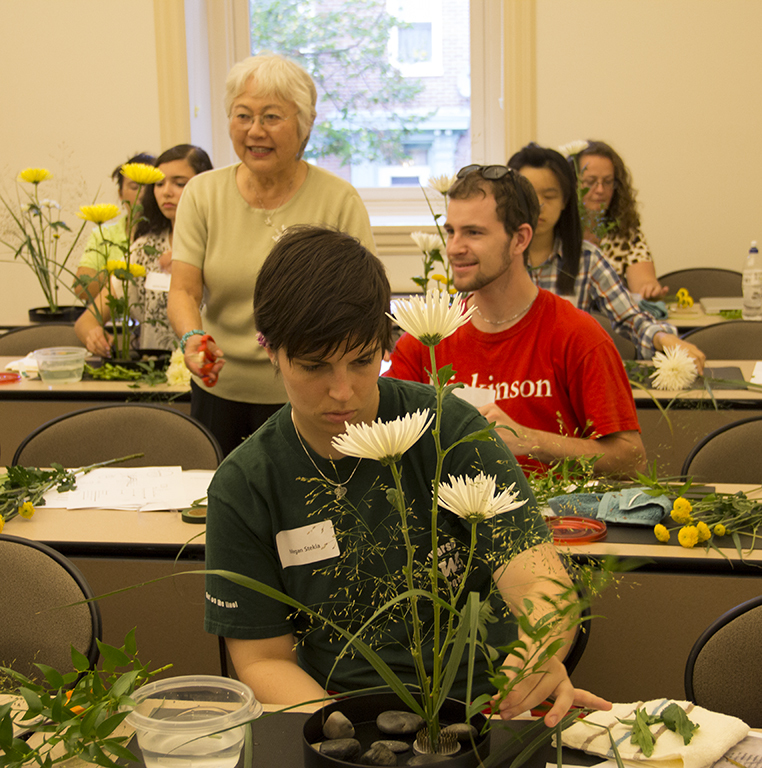 The Dickinson College Library and East Asian Studies Department hosted weekly ikebana demonstrations led by members of the Harrisburg International Ikebana Chapter. This wonderful display of ikebana, or Japanese flower arrangement, was beautifully located outside of the East Asian Studies room of the Dickinson College Library. 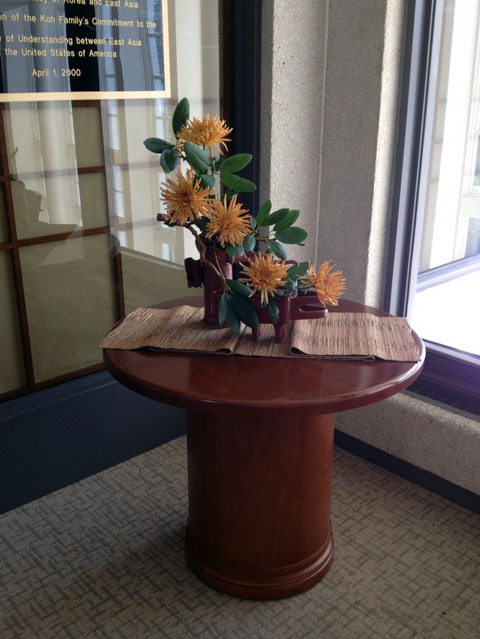 This entry was posted in Ikebana Flower Arranging on December 10, 2014 by yook. 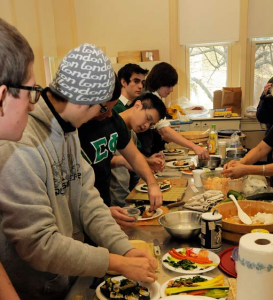 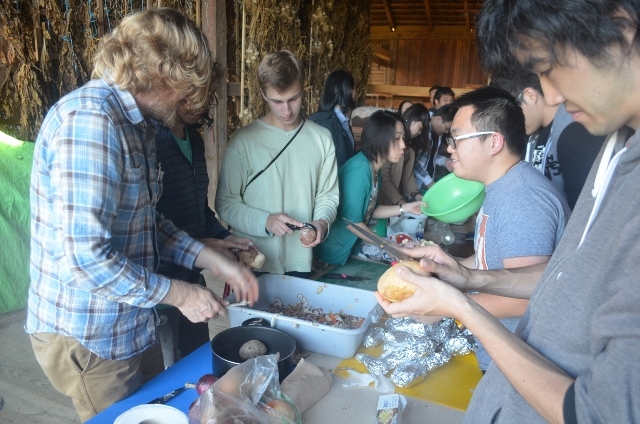 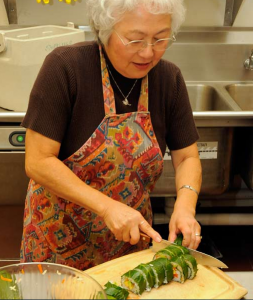 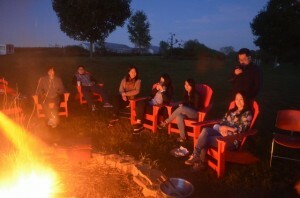 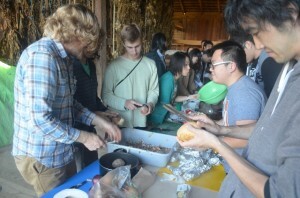 In September 2014, Japanese language professors, TAs, and students headed to the Dickinson farm to hold a Japanese dinner event. 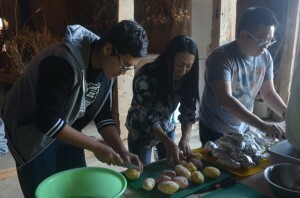 Two students peeled potatoes with Professor Meguro. 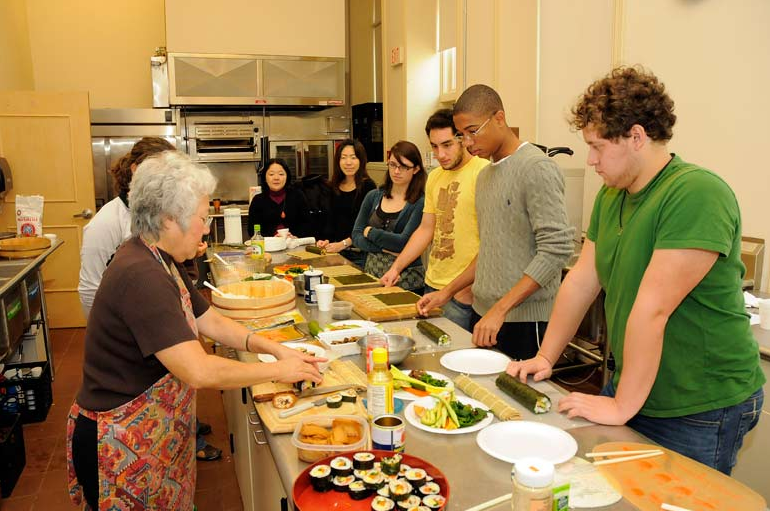 The students absorbed themselves in cooking Japanese food with Professor Bates, relaxing and momentarily forgetting about school and homework. 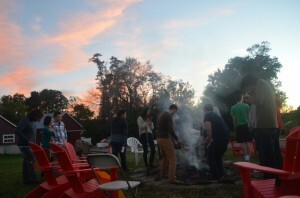 The group start a bonfire to prepare for the coldness and darkness of encroaching night. Everyone sit down to eat yummy Japanese food that they made by themselves. 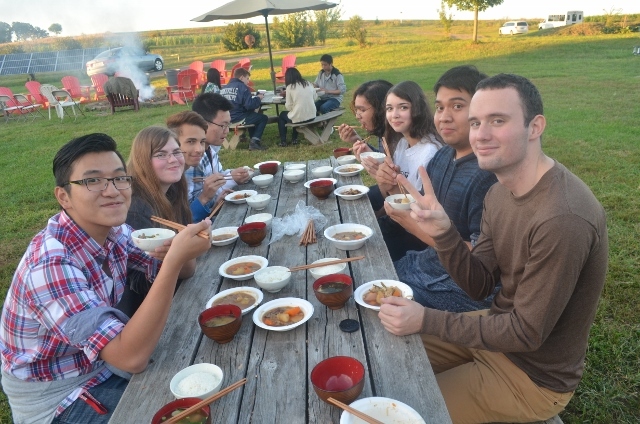 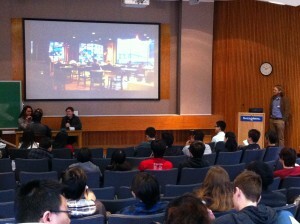 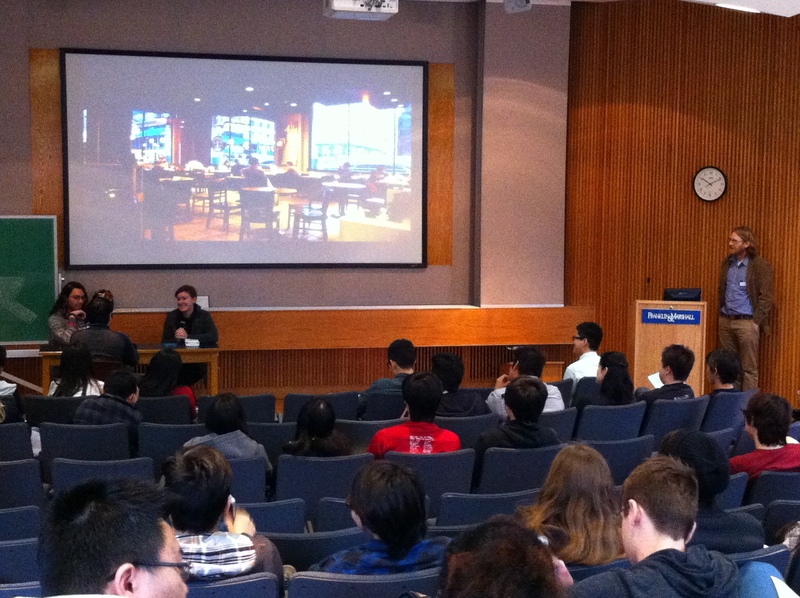 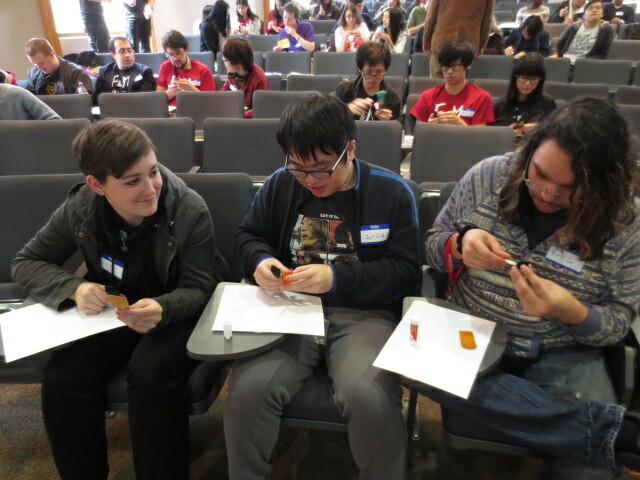 The Japanese program’s students and faculty enjoying time together outside the classroom. This entry was posted in Cultural Activities on October 13, 2014 by nichoets.